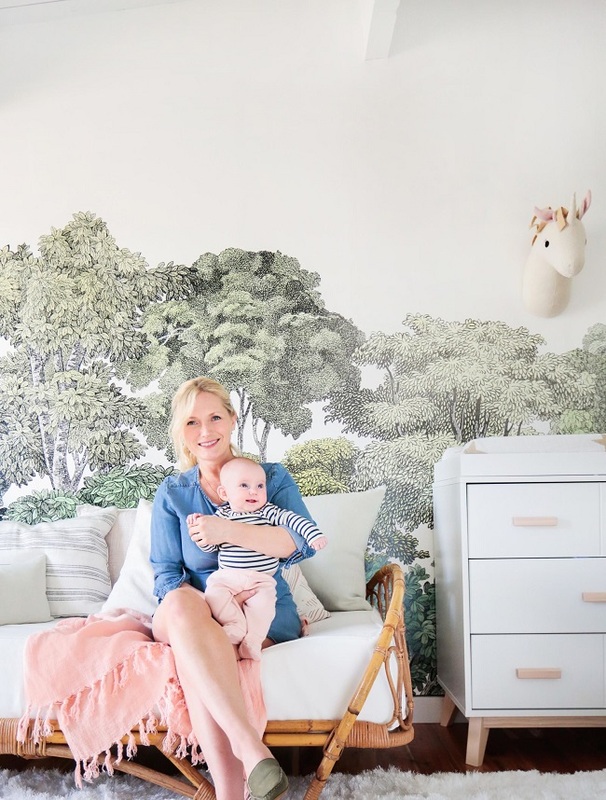 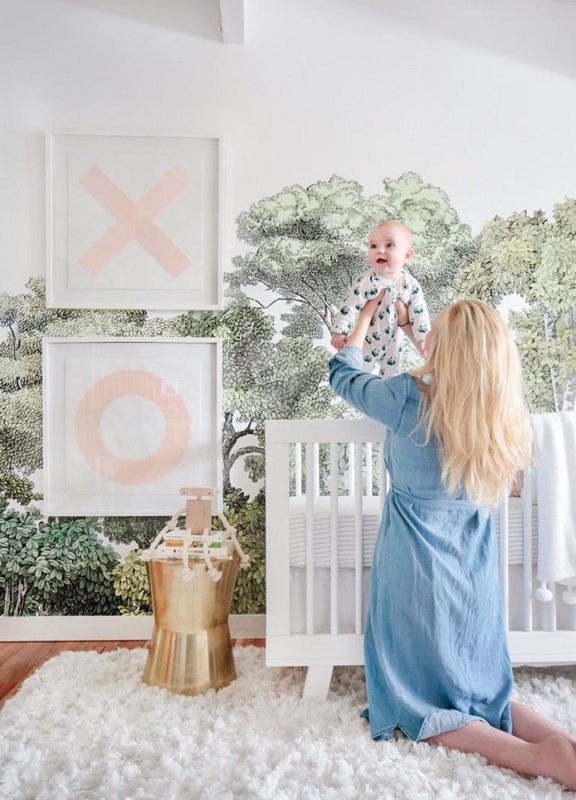 I can't get my eyes of this gorgeous nursery, designed my favorite celebrity designer, Emily Henderson for her little princess! 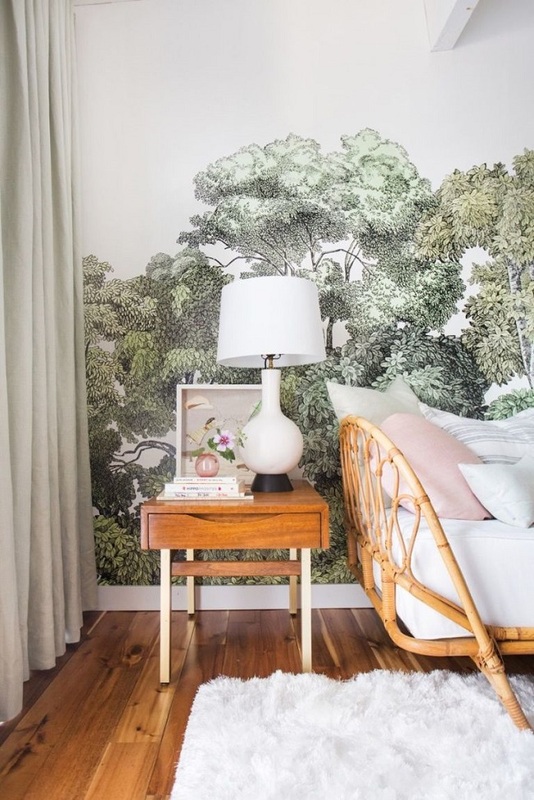 The stunning statement forest wallpaper absolutely sets the tone and color palette for the rest of the room. 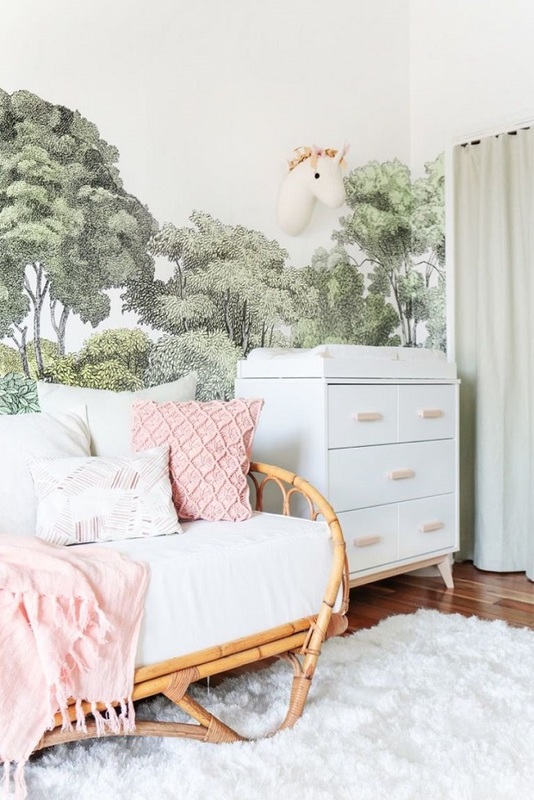 I like how she accessorized the space with soft pink accents for a dose of pretty and sweetness. 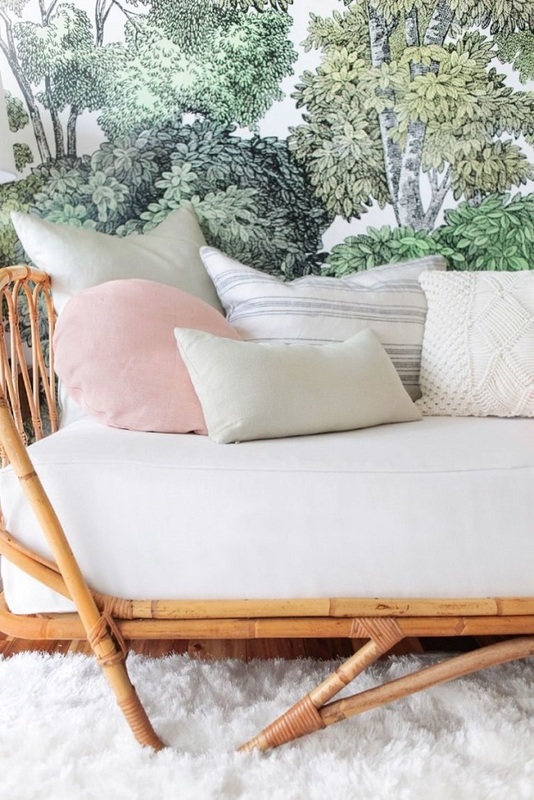 The beautiful, swoon-worthy wicker daybed is also one of my favorites, it just adds so much warmth and charm to this room! 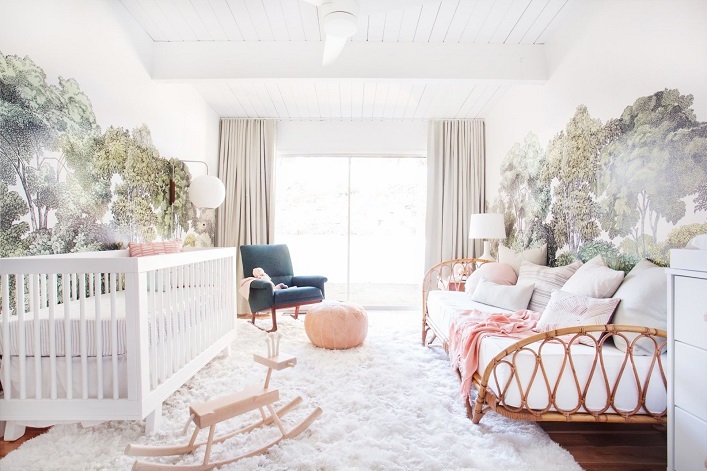 I can definitely envision turning this delightful room into a living room by replacing the crib, changing table, rocker and toys with grown up furnishings! 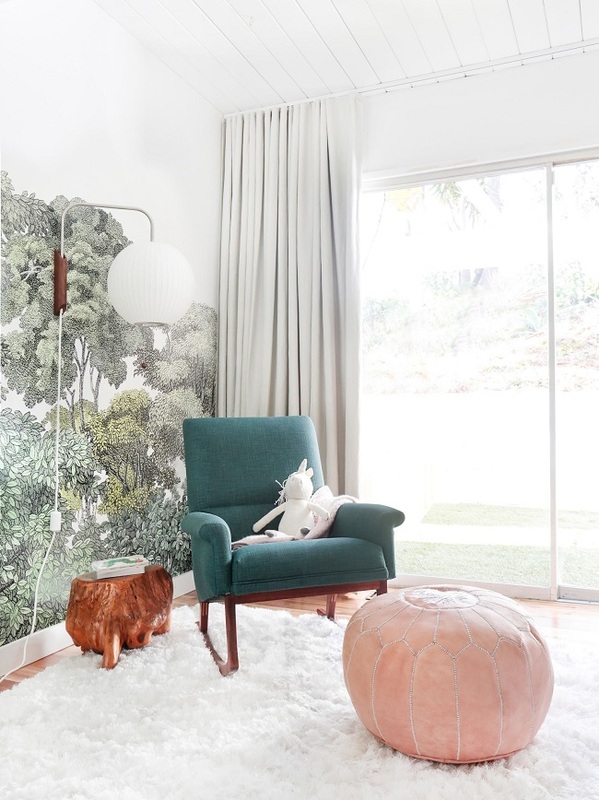 Such a fresh, versatile and inspirational space, what's not to love?